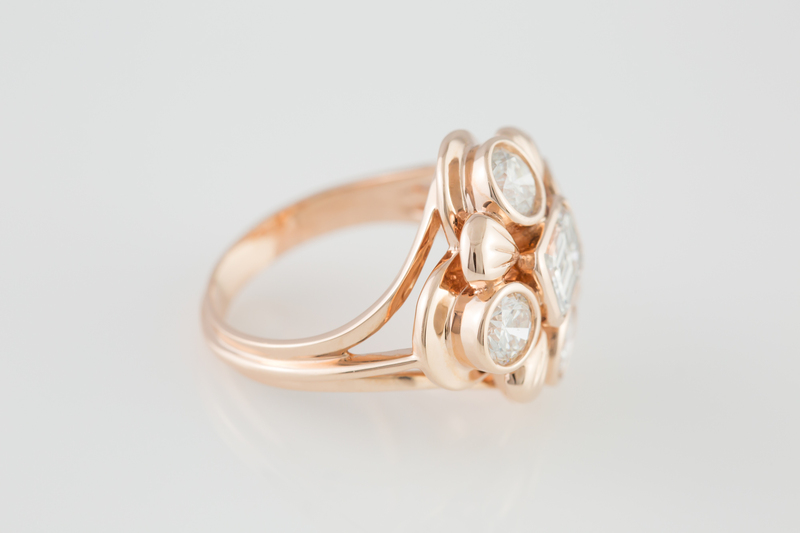 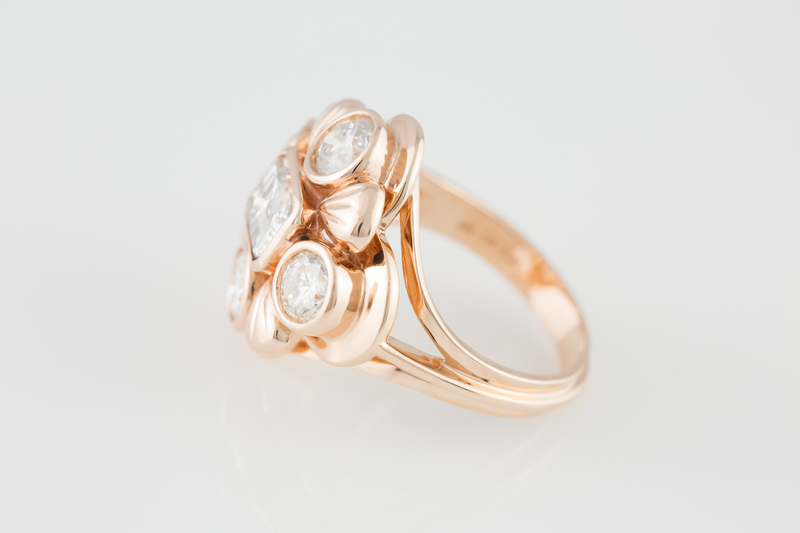 Custom made rose gold diamond rose gold dinner ring. 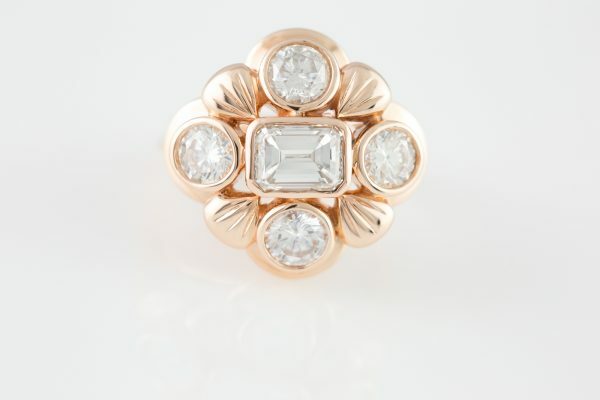 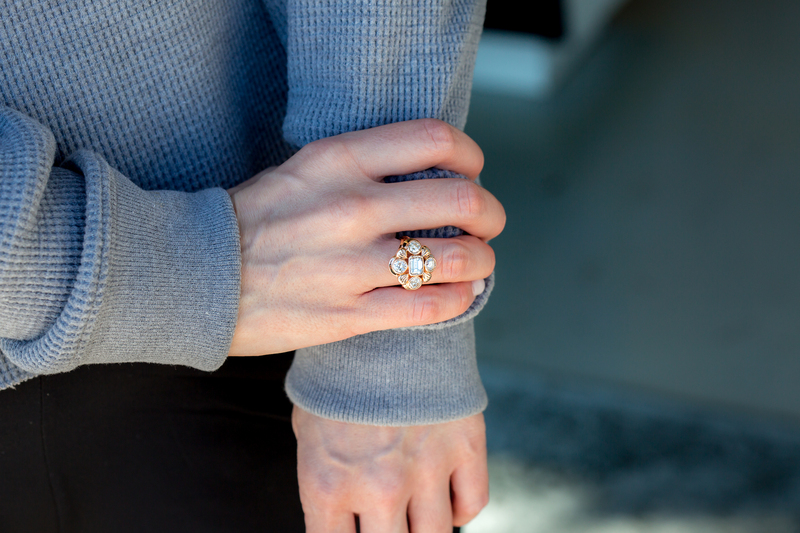 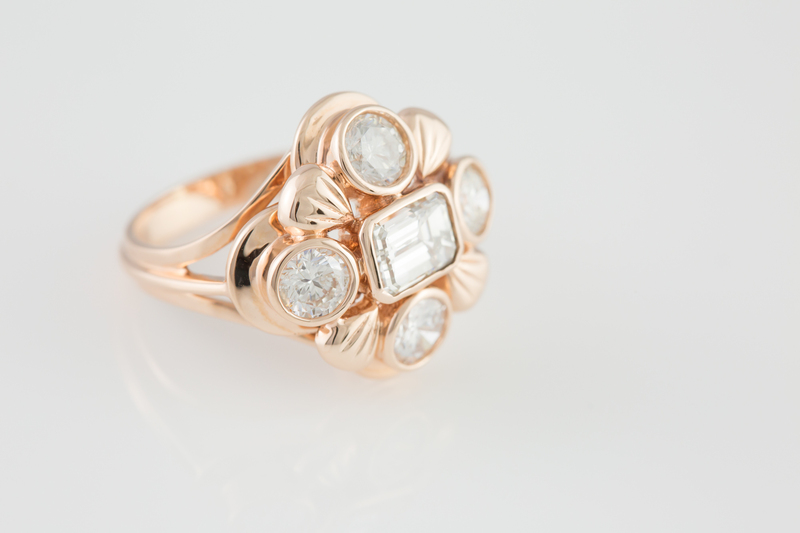 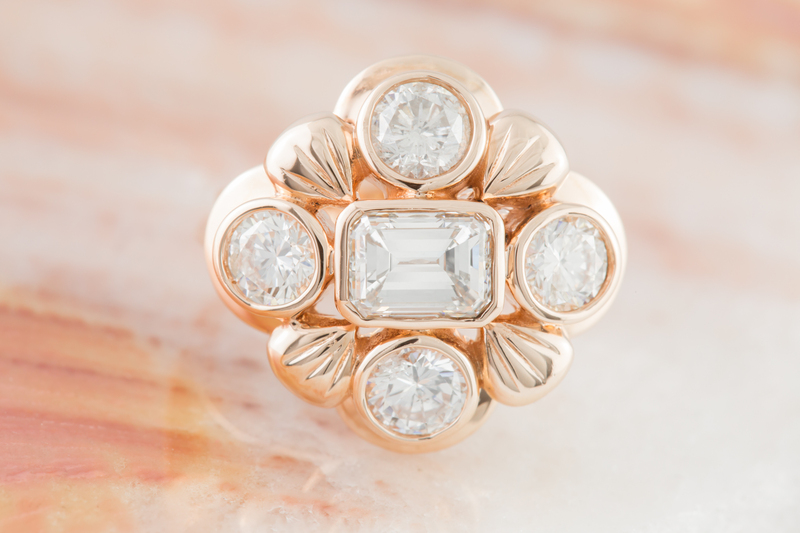 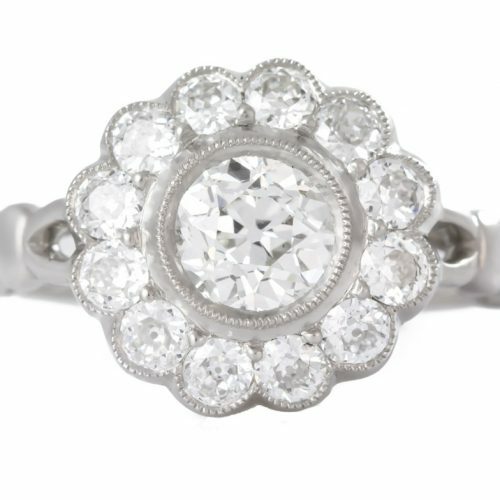 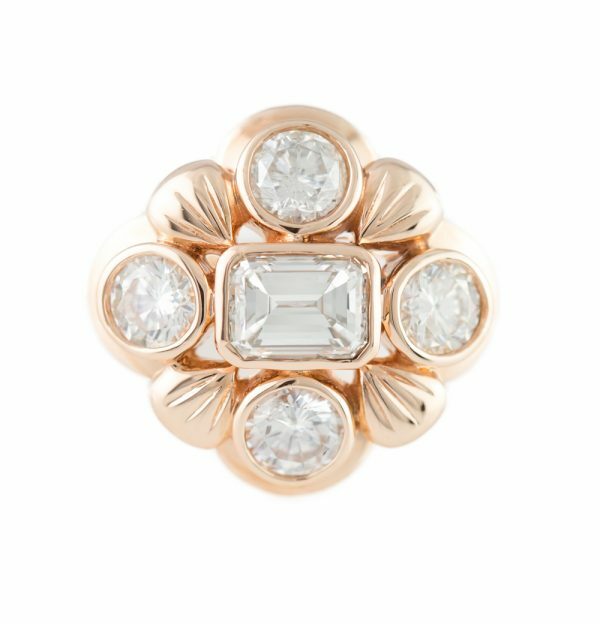 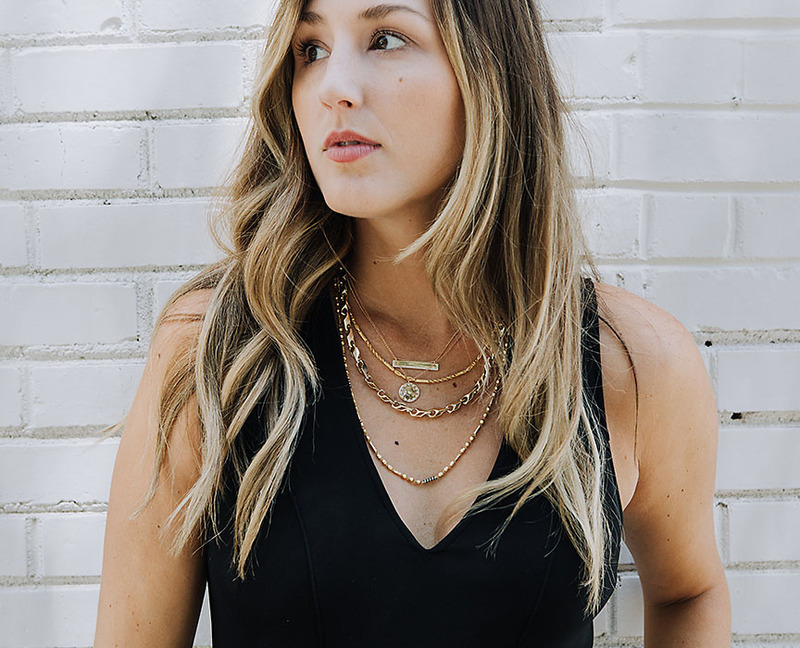 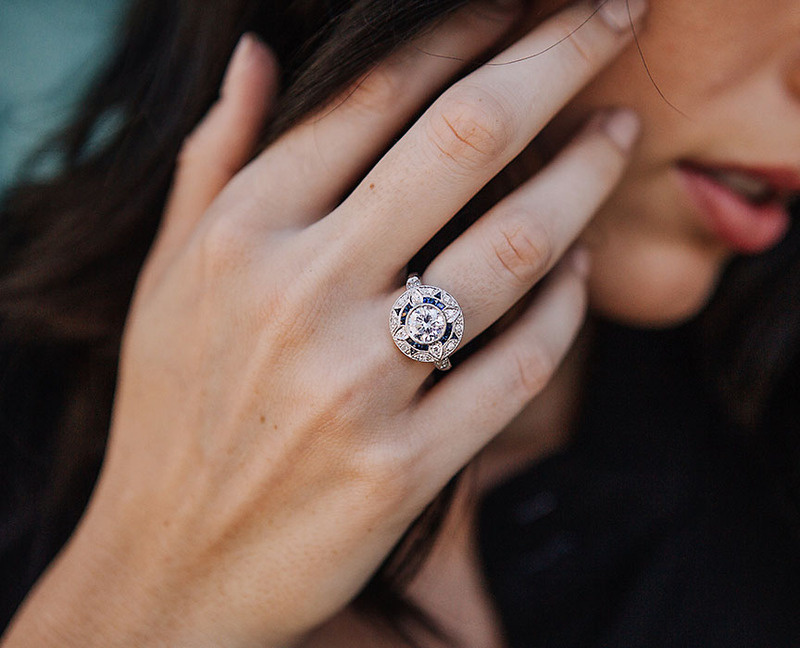 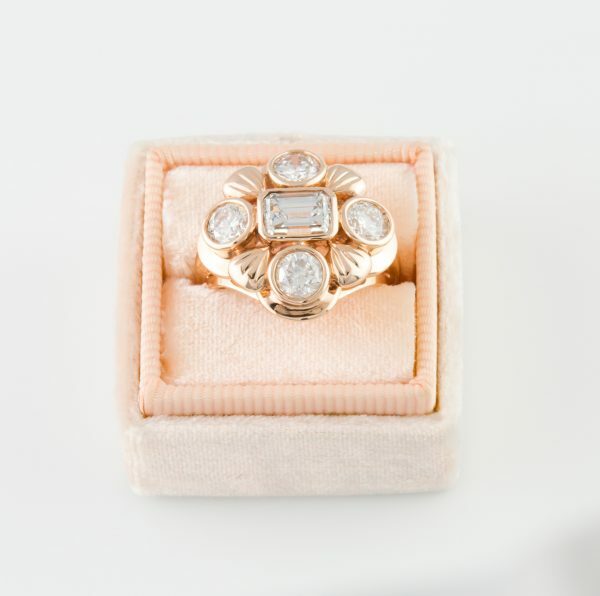 We molded this ring after a 1920’s ring that was beyond repair, so we remade it because we love it so much. 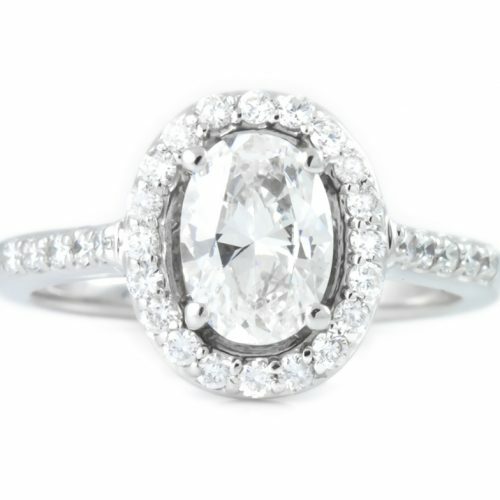 Center stone is 1.03 carat emerald shape diamond, E color and SI1 clarity. The 4 round brilliant diamonds are similar in color and clarity for a combined weigh of 1.53 carats. 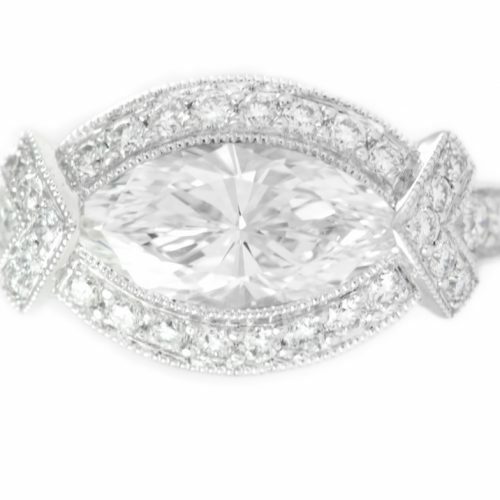 All together that’s over 2 1/2 carats worth of diamonds.